How are we so far into June already?! I haven't even talked to you about June's wine of the month yet—blogger fail. In my own defense, I just got back from NYC (more coming on that soon!) where I sprained my ankle just casually walking down the street. This is the second time in the past few years that I've injured myself on a sidewalk. Not cool. Want to know what else isn't cool? This weather!!! Unpopular opinion alert: I hate summer. There's only one thing that makes it somewhat bearable... chillable reds! 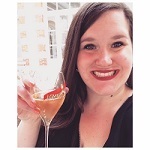 I sometimes wonder if I should have called this blog "Meg and Glou Glou" but I really like alliteration. And I do like Merlot. But as much as I love quaffable reds? No chance. Easy-drinking red wine is my favorite style, far and away. Hence why Beaujolais is my favorite wine region! Luckily, some other regions are getting on the Gamay bandwagon, including my favorite U.S. wine region: Willamette Valley, Oregon. Glou-glou (n./adj. ): French term for refreshing wine. Vin de soif is also used for thirst-quenching wine. 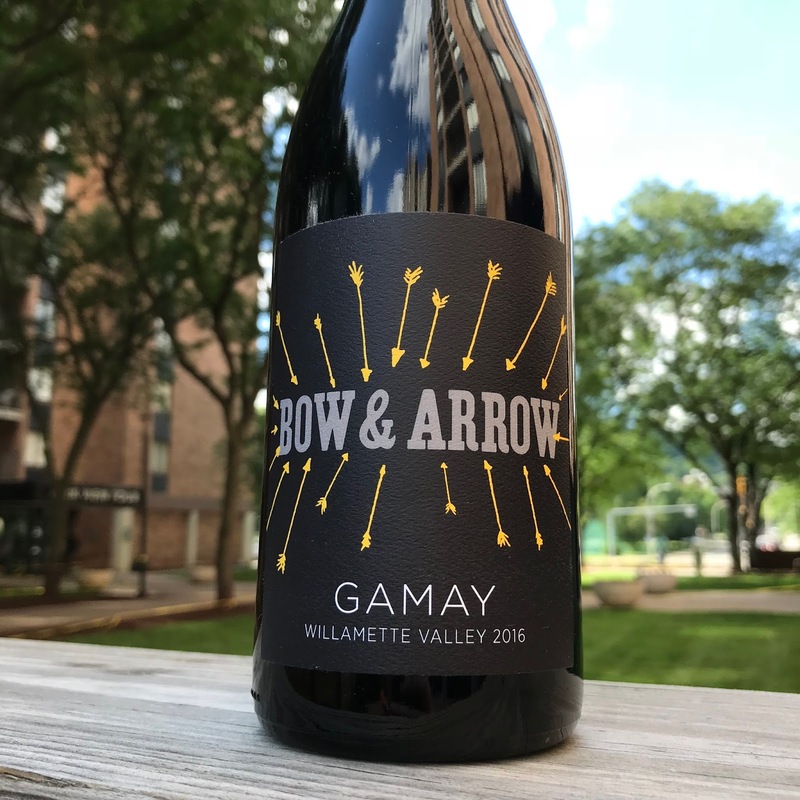 Bow & Arrow calls this wine the "heart and soul of the winery." Building on the promise of humble terroir, Bow & Arrow's Frank Scott sets aside Oregon's established undertaking to be the next Burgundy and instead focuses on what he calls "working class wines of France's Loire Valley." Scott moved from NYC to Oregon, convinced some farmers to take a risk, and now makes some of the most drinkable, delicious wines from Willamette Valley. His raison d'être is both proletarian and poetic—qualities that shine through his Gamay. For only $20, this wine sure packs a punch! Is spicy raspberry salsa a thing? (Can we make it a thing?) This wine is fresh, crunchy, tart, bouncy, fruity, spicy, multidimensional, and downright tasty. If I had to compare it to Beaujolais, I would put it at the Villages level, creeping close to the cru level. Perhaps like Fleurie. (I personally find Fleurie to be less austere than some of the other crus.) If tasted blind, I think I would guess Gamay pretty easily. However, its carbonic flavors stop short of full on Bubble Yum. Appearance: A little hazy, ruby, medium+ intensity. Nose: Clean, medium+ intensity, tart raspberries, ripe strawberries, freeze-dried berries, menthol, wet rocks, wet dirt, touch of spicy chili. Palate: Medium+ acidity, medium tannin, medium body, more of the tart red berries, freeze dried berries, chili flakes, fresh white mushrooms, mint. Finish: Medium. Fruit and spice continue to mingle in a pleasurable way. Quality: Good to very good. It is what Gamay at its price should be. Serve chilled! Interested in learning more about minimalist winemakers in the U.S.? Check out my piece on Craft Wine Co. for The Vintner Project. oooh they are coming in the white wine post! !